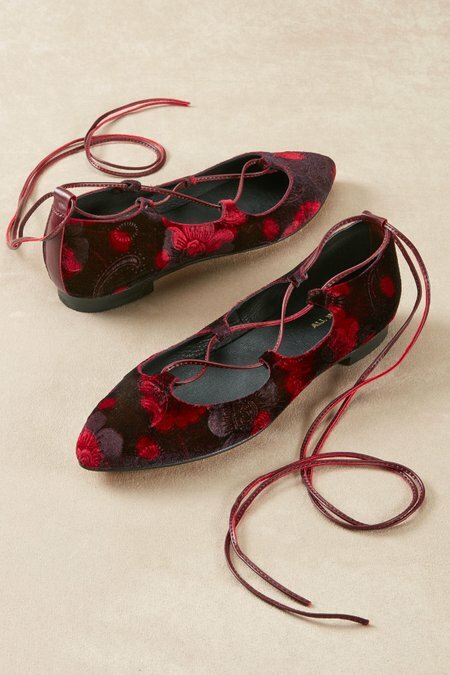 These pretty floral print velvet flats feature of-the-moment vintage gillie styling with laces long enough to wrap around your ankles or calves. They're detailed with a modified point toe and cool leather lining and sole. A graceful look that flatters your feet and complements your fashion.